Greetings from the Valley of the Sun. I just joined up so figured I would do the obligatory new member posting thing. 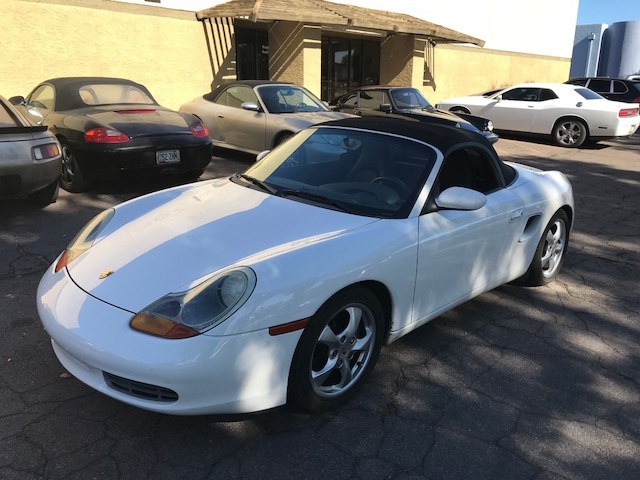 Just bought my first Porsche (2002 Boxster) this past weekend and will likely be skulking about here to get some much needed education about it. Welcome to the forum. Your Boxster looks very nice hope you enjoy.